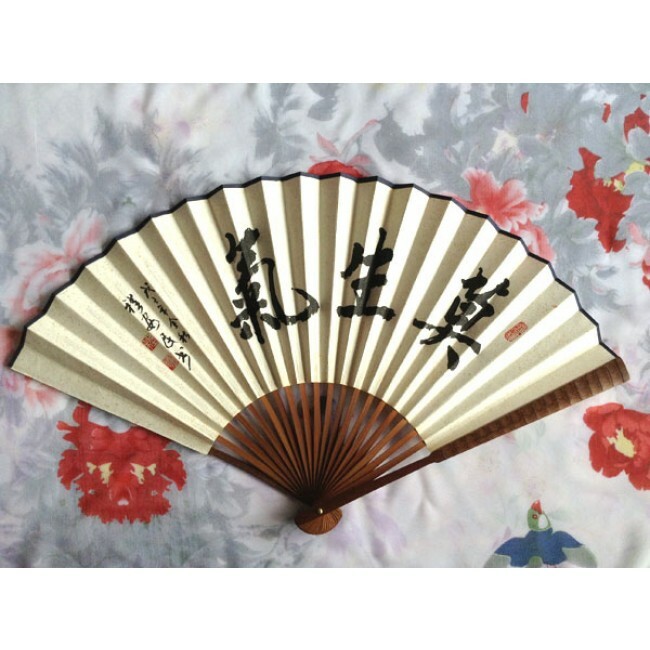 This is for a traditional Chinese fan made of bamboo and paper. Handwritten on it is the Chinese phrase that means "don't get angry". Dated and stamped by the calligrapher.